Given all of the paperwork that is part and parcel of a construction project, it's understandable that project managers and superintendents don't particularly want to do more. And given all of the updating that does go on throughout the project process, is it truly necessary to do project reporting on a daily basis? The short answers to that would be yes, and that it's not a bad idea. Yes, because a number of clients particularly government ones, now require daily reports on topics ranging from crew safety meetings to subcontractors' man hours. And it's not a bad idea because even if your firm is working for a client who does not require daily reporting, your staff should still create these records both to protect your business, and to create a tool that can be referenced for future projects. Litigation ProtectionIt doesn't take much to get litigation started in the construction industry. Seemingly excessive subcontractor charges. An obscure (but important) contract page that the client claims to have "missed". Arguments over the physical condition of a work site. Contractors may well find themselves on either side of a dispute, which is why they should always be careful to have well-documented daily reports in an easy to read style that can be accessed by appropriate parties. And it would be helpful if these reports supported the inclusion of appropriate photos and other visual media. Increased ProductivityBy keeping written documents of a project's progress (this again includes photographs), managers and supervisors can positively influence project outcomes by tracking man-hours, delivery schedules, working around bad weather, etc. Firms should be warned however that some businesses using "micro-tracking" have employees that report worker dissatisfaction, something that the labor-starved construction industry needs to be attuned to. Catching Small Issues Before They Become Big IssuesOngoing problems with a supplier. Problems connecting with a stakeholder. The strange red sludge oozing out of a hole at the edge of a site that's getting a little more noticeable every day. Daily construction field reporting creates a record that can be used to justify certain actions (like hiring additional equipment or ordering testing) to prevent problems from developing. Visibility To Project Managers And ExecutivesAs much as managers, firm heads, and their partners would like to give each project they're involved with their daily and unrelenting attention, it's just not possible, especially at busy firms in busy seasons. Well-documented and archived projects provide CEOs and stakeholders a way to track progress and follow the project's history. 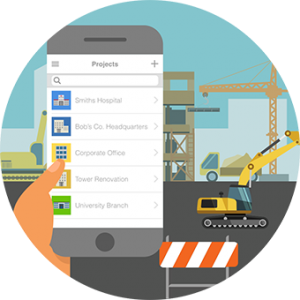 And with the advent of construction-oriented applications for ever-present mobile devices, daily reporting software for the construction industry has never been easier. Raken for daily reporting, for example, has reduced daily reporting time by hours each week, in addition to allowing reports to be transmitted in under a minute to waiting recipients. And in addition to allowing for automatic report reminders or warnings to be issued, Raken's software allows both video and photos to be added to reports, creating both an evidence trail for litigation purposes and a visual record for distant stakeholders. Add to this a file storage system that allows files to be retained online for up to ten years, and the practice of diligent field reporting undertaken with a digital approach just makes good business sense.